Recent Arrival! INFINITI CERTIFIED PRE-OWNED WARRANTY / CPO, REMAINDER FACTORY WARRANTY, Service Records Available, One Owner, Clean Car-Fax, Bluetooth, Navigation / GPS, Steering Wheel Audio Controls, SIRIUS/ XM Radio, AUX INPUT *, Smart Entry System, UNIVERSAL GARAGE DOOR OPENER *, AUX & USB INPUT *, Backup Camera, All Wheel Drive / AWD, Power Moonroof / Sunroof, Driver & Passenger Power Seats, Heated Seats, Heated Steering Wheel, Pushbutton Start, Remote Keyless Entry, Dual Zone Auto Climate Control, Premium Alloy Wheels, Auto/Off Headlights, Power Windows, Power Door Locks, Cruise Control, ABS brakes, Compass, Electronic Stability Control, Front dual zone A/C, Heated door mirrors, Heated Front Seats, Heated front seats, Illuminated entry, Low tire pressure warning, Power moonroof, Remote keyless entry, Traction control. INFINITI Certified Pre-Owned Details: * 167 Point Inspection * Limited Warranty: 72 Month/Unlimited Mile (whichever comes first) Limited Warranty 72 months/Unlimited miles from original in-service date for vehicles over 15,000 miles & under 2 years old, 24 months/Unlimited miles from certified purchase date for vehicles over 15,000 miles & older than 2 years * Vehicle History * Includes Rental Car and Trip Interruption Reimbursement * Transferable Warranty * Warranty Deductible: $0 * Roadside Assistance Odometer is 11830 miles below market average! Awards: * 2015 IIHS Top Safety Pick+ All Applicable Pricing Based on Financing with INFINITI Financial Service. ** Buy with Confidence. Call Today @ 866-568-0724 to Schedule a Test Drive. This Vehicle is Ready for Immediate Delivery!! ** Open Sundays by Appointment Only!! ** INVENTORY REDUCTION SALE-ENDS SOON **, INFINITI CERTIFIED PRE-OWNED WARRANTY / CPO, REMAINDER FACTORY WARRANTY, Bought - Serviced - Traded @ Harte INFINITI, Service Records Available, One Owner, Clean Car-Fax, Navigation / GPS, Steering Wheel Audio Controls, Premium Audio / MP3, SIRIUS/ XM Radio, Smart Entry System, SD CARD INPUT *, UNIVERSAL GARAGE DOOR OPENER *, Backup Camera, All Wheel Drive / AWD, Power Moonroof / Sunroof, Driver & Passenger Power Seats, Heated Seats, Heated Steering Wheel, Pushbutton Start, Remote Keyless Entry, Dual Zone Auto Climate Control, Premium Alloy Wheels, Auto/Off Headlights, Power Windows, Power Door Locks, Cruise Control, ABS brakes, Compass, Electronic Stability Control, Front dual zone A/C, Heated door mirrors, Heated Front Seats, Heated front seats, Illuminated entry, Low tire pressure warning, Power moonroof, Remote keyless entry, Traction control. INFINITI Certified Pre-Owned Details: * Limited Warranty: 72 Month/Unlimited Mile (whichever comes first) Limited Warranty 72 months/Unlimited miles from original in-service date for vehicles over 15,000 miles & under 2 years old, 24 months/Unlimited miles from certified purchase date for vehicles over 15,000 miles & older than 2 years * Includes Rental Car and Trip Interruption Reimbursement * 167 Point Inspection * Vehicle History * Transferable Warranty * Warranty Deductible: $0 * Roadside Assistance Odometer is 3256 miles below market average! Awards: * 2015 IIHS Top Safety Pick+ All Applicable Pricing Based on Financing with INFINITI Financial Service. ** Buy with Confidence. Call Today @ 866-568-0724 to Schedule a Test Drive. This Vehicle is Ready for Immediate Delivery!! ** Open Sundays by Appointment Only!! Recent Arrival! ** INVENTORY REDUCTION SALE-ENDS SOON **, INFINITI CERTIFIED PRE-OWNED WARRANTY / CPO, REMAINDER FACTORY WARRANTY, 3rd Row Seating, Service Records Available, One Owner, Clean Car-Fax, Hands Free, Navigation / GPS, Steering Wheel Audio Controls, Premium Audio / MP3, SIRIUS/ XM Radio, Smart Entry System, UNIVERSAL GARAGE DOOR OPENER *, AUX & USB INPUT *, Backup Camera, All Wheel Drive / AWD, Power Moonroof / Sunroof, Panoramic Moonroof, Driver & Passenger Power Seats, Memory Seats - Heated & Cooled, Heated Steering Wheel, Dual Rear DVD Entertainment System, Pushbutton Start, Remote Keyless Entry, Tri-Zone Auto Climate Control, OPEN SUNDAYS BY APPOINTMENT ONLY *, 120V Power Outlet, 20" Split 5-Spoke Aluminum-Alloy Wheels, 2-Way Driver's Seat Power Lumbar Support, Active Trace Control, Advanced Climate Control System, Around View Monitor w/Front & Rear Sonar System, Back-Up Collision Intervention (BCI), Blind Spot Intervention (BSI), Blind Spot Warning System (BSW), Bose Cabin Surround Sound System, Climate-Controlled Front Seats, Deluxe Touring Package, Distance Control Assist, Dual 7" Color Monitors, Dual Occupant Memory System, ECO Pedal, Enhanced Intelligent Key Memory, Entry & Exit Assist, Front Pre-Crash Seatbelts, Heated 2nd-Row Seats, Heated Steering Wheel, INFINITI Navigation System, INFINITI Voice Recognition, Intelligent Brake Assist (IBA), Intelligent Cruise Control, Lane Departure Prevention (LDP), Maple Accents Package, Maple Interior Accents, Outside Mirrors w/Reverse Tilt-Down Feature, Power Return Third Row Seat Back, Premium Package, Premium Plus Package, Radio: AM/FM/CD/DVD w/MP3 Playback Capability, Rain-Sensing Front Windshield Wipers, Remote Engine Start, Second & Third-Row Moonroof w/Power Rear Sunshade, Single In-Dash CD Player, Technology Package, Theater Package, Wireless Headphones (2). INFINITI Certified Pre-Owned Details: * Limited Warranty: 72 Month/Unlimited Mile (whichever comes first) Limited Warranty 72 months/Unlimited miles from original in-service date for vehicles over 15,000 miles & under 2 years old, 24 months/Unlimited miles from certified purchase date for vehicles over 15,000 miles & older than 2 years * Roadside Assistance * 167 Point Inspection * Warranty Deductible: $0 * Includes Rental Car and Trip Interruption Reimbursement * Vehicle History * Transferable Warranty Odometer is 9830 miles below market average! Awards: * 2015 IIHS Top Safety Pick All Applicable Pricing Based on Financing with INFINITI Financial Service. ** Buy with Confidence. Call Today @ 866-568-0724 to Schedule a Test Drive. This Vehicle is Ready for Immediate Delivery!! ** Open Sundays by Appointment Only!! Recent Arrival! INFINITI CERTIFIED PRE-OWNED WARRANTY / CPO, REMAINDER FACTORY WARRANTY, 3rd Row Seating, Service Records Available, One Owner - Clean Car-Fax, Bluetooth, Navigation / GPS, Steering Wheel Audio Controls, Premium Audio / MP3, SIRIUS/ XM Radio, Smart Entry System, UNIVERSAL GARAGE DOOR OPENER *, AUX & USB INPUT *, Backup Camera, All Wheel Drive / AWD, Power Moonroof / Sunroof, Driver & Passenger Power Seats, Heated - Leather Seats, Heated Steering Wheel, Pushbutton Start, Remote Keyless Entry, Tri-Zone Auto Climate Control, Premium Alloy Wheels, Auto/Off Headlights, Power Liftgate, Front & Rear Parking Sensors, Power Windows, Power Door Locks, Cruise Control, OPEN SUNDAYS BY APPOINTMENT ONLY *, 2-Way Driver's Seat Power Lumbar Support, Around View Monitor w/Front & Rear Sonar System, Dual Occupant Memory System, Enhanced Intelligent Key Memory, Entry & Exit Assist, Heated Steering Wheel, INFINITI Navigation System, INFINITI Voice Recognition, Outside Mirrors w/Reverse Tilt-Down Feature, Premium Package, Premium Plus Package, Radio: AM/FM/CD/DVD w/MP3 Playback Capability, Rain-Sensing Front Windshield Wipers, Remote Engine Start, Single In-Dash CD Player. INFINITI Certified Pre-Owned Details: * Transferable Warranty * 167 Point Inspection * Roadside Assistance * Vehicle History * Warranty Deductible: $0 * Limited Warranty: 72 Month/Unlimited Mile (whichever comes first) Limited Warranty 72 months/Unlimited miles from original in-service date for vehicles over 15,000 miles & under 2 years old, 24 months/Unlimited miles from certified purchase date for vehicles over 15,000 miles & older than 2 years * Includes Rental Car and Trip Interruption Reimbursement Odometer is 9065 miles below market average! Awards: * 2015 IIHS Top Safety Pick All Applicable Pricing Based on Financing with INFINITI Financial Service. ** Buy with Confidence. Call Today @ 866-568-0724 to Schedule a Test Drive. This Vehicle is Ready for Immediate Delivery!! ** Open Sundays by Appointment Only!! Recent Arrival! INFINITI CERTIFIED PRE-OWNED WARRANTY / CPO, REMAINDER FACTORY WARRANTY, 3rd Row Seating, Service Records Available, One Owner, Clean Car-Fax, Bluetooth, Navigation / GPS, Steering Wheel Audio Controls, Premium Audio / MP3, SIRIUS/ XM Radio, Smart Entry System, UNIVERSAL GARAGE DOOR OPENER *, Backup Camera, All Wheel Drive / AWD, Power Moonroof / Sunroof, Panoramic Moonroof, Driver & Passenger Power Seats, Memory Seats - Heated & Cooled, Dual Rear DVD Entertainment System, Pushbutton Start, Remote Keyless Entry, Tri-Zone Auto Climate Control, Premium Alloy Wheels, OPEN SUNDAYS BY APPOINTMENT ONLY *, 120V Power Outlet, 20" Split 5-Spoke Aluminum-Alloy Wheels, Active Trace Control, Advanced Climate Control System, Around View Monitor w/Front & Rear Sonar System, Back-Up Collision Intervention (BCI), Blind Spot Intervention (BSI), Blind Spot Warning System (BSW), Bose Cabin Surround Sound System, Climate-Controlled Front Seats, Deluxe Touring Package, Distance Control Assist, Driver Assistance Package, Dual 7" Color Monitors, ECO Pedal, Front & Rear Sonar System, Front Pre-Crash Seatbelts, Heated 2nd-Row Seats, INFINITI Navigation System, INFINITI Voice Recognition, Intelligent Brake Assist (IBA), Intelligent Cruise Control, Lane Departure Prevention (LDP), Maple Accents Package, Maple Interior Accents, Power Return Third Row Seat Back, Premium Plus Package, Rain-Sensing Front Windshield Wipers, Second & Third-Row Moonroof w/Power Rear Sunshade, Single In-Dash CD Player, Technology Package, Theater Package, Wireless Headphones (2). INFINITI Certified Pre-Owned Details: * Limited Warranty: 72 Month/Unlimited Mile (whichever comes first) Limited Warranty 72 months/Unlimited miles from original in-service date for vehicles over 15,000 miles & under 2 years old, 24 months/Unlimited miles from certified purchase date for vehicles over 15,000 miles & older than 2 years * Vehicle History * Transferable Warranty * Includes Rental Car and Trip Interruption Reimbursement * 167 Point Inspection * Roadside Assistance * Warranty Deductible: $0 Odometer is 2544 miles below market average! Awards: * 2015 IIHS Top Safety Pick All Applicable Pricing Based on Financing with INFINITI Financial Service. ** Buy with Confidence. Call Today @ 866-568-0724 to Schedule a Test Drive. This Vehicle is Ready for Immediate Delivery!! ** Open Sundays by Appointment Only!! INFINITI CERTIFIED PRE-OWNED WARRANTY / CPO, REMAINDER FACTORY WARRANTY, 3rd Row Seating, Bought - Serviced - Traded @ Harte INFINITI, Service Records Available, One Owner, Clean Car-Fax, Bluetooth, Navigation / GPS, Steering Wheel Audio Controls, Premium Audio / MP3, SIRIUS/ XM Radio, Smart Entry System, UNIVERSAL GARAGE DOOR OPENER *, AUX & USB INPUT *, Backup Camera, All Wheel Drive / AWD, Power Moonroof / Sunroof, Panoramic Moonroof, Driver & Passenger Power Seats, Heated & Cooled Leather Seats, Memory Seats - Heated & Cooled, Heated Steering Wheel, Pushbutton Start, Remote Keyless Entry, Tri-Zone Auto Climate Control, Premium Alloy Wheels, Auto/Off Headlights, Front & Rear Parking Sensors, Power Windows, Power Door Locks, OPEN SUNDAYS BY APPOINTMENT ONLY *, 120V Power Outlet, 2nd & 3rd Row Moonroof w/Power Rear Sunshade, 2-Way Driver's Seat Power Lumbar Support, 8" Dual Color Monitors, Active Trace Control, Advanced Climate Control System, Around View Monitor w/Moving Object Detection, Auto Side Dimming Mirrors, Back-Up Collision Intervention (BCI), Blind Spot Intervention System (BSI), Blind Spot Warning System (BSW), Bose Cabin Surround Sound System, Climate-Controlled Front Seats, Cross Bars, Deluxe Technology Package, Distance Control Assist, Dual Occupant Memory System, ECO Pedal, Enhanced Intelligent Key Memory, Entry & Exit Assist, Forward Emergency Braking, Front & Rear Sonar Sensors, Front Pre-Crash Seatbelts, Heated 2nd-Row Seats, Heated Steering Wheel, High Beam Assist, Illuminated Kick Plates (IKP), INFINITI Navigation, Intelligent Cruise Control, Lane Departure Prevention (LDP), Maple Interior Accents, Motion Activated Liftgate, Outside Mirrors w/Reverse Tilt-Down Feature, Power Return 3rd Row Seat Back, Predictive Forward Collision Warning (PFCW), Premium Package, Premium Plus Package, Radio: AM/FM/CD/DVD w/MP3 Playback Capability, Rain-Sensing Front Windshield Wipers, Rear Bumper Protector, Remote Engine Start, Roof Rails, Single In-Dash CD/DVD Player, Single USB Port, Theater Package, Voice Recognition For Navigation, Wheels: 20" 15-Spoke Aluminum-Alloy, Wireless Headphones (2). INFINITI Certified Pre-Owned Details: * Limited Warranty: 72 Month/Unlimited Mile (whichever comes first) Limited Warranty 72 months/Unlimited miles from original in-service date for vehicles over 15,000 miles & under 2 years old, 24 months/Unlimited miles from certified purchase date for vehicles over 15,000 miles & older than 2 years * Vehicle History * Transferable Warranty * Roadside Assistance * Warranty Deductible: $0 * Includes Rental Car and Trip Interruption Reimbursement * 167 Point Inspection Odometer is 11110 miles below market average! All Applicable Pricing Based on Financing with INFINITI Financial Service. ** Buy with Confidence. Call Today @ 866-568-0724 to Schedule a Test Drive. This Vehicle is Ready for Immediate Delivery!! ** Open Sundays by Appointment Only!! Recent Arrival! INFINITI CERTIFIED PRE-OWNED WARRANTY / CPO, REMAINDER FACTORY WARRANTY, 3rd Row Seating, Service Records Available, One Owner, Bluetooth, Navigation / GPS, Steering Wheel Audio Controls, Premium Audio / MP3, SIRIUS/ XM Radio, Smart Entry System, UNIVERSAL GARAGE DOOR OPENER *, Backup Camera, All Wheel Drive / AWD, Power Moonroof / Sunroof, Panoramic Moonroof, Driver & Passenger Power Seats, Heated - Leather Seats, Heated & Cooled Leather Seats, Heated Steering Wheel, Pushbutton Start, Remote Keyless Entry, Tri-Zone Auto Climate Control, Premium Alloy Wheels, Auto/Off Headlights, Power Liftgate, Front & Rear Parking Sensors, OPEN SUNDAYS BY APPOINTMENT ONLY *, 120V Power Outlet, 2-Way Driver's Seat Power Lumbar Support, Active Trace Control, Advanced Climate Control System, Around View Monitor w/Front & Rear Sonar System, Back-Up Collision Intervention (BCI), Blind Spot Intervention System (BSI), Blind Spot Warning System (BSW), BOSE 13-speaker Premium Audio System including Radio: AM/FM/CD/DVD w/MP3 Playback Capability, Bose Cabin Surround Sound System, Climate-Controlled Front Seats, Deluxe Technology Package, Distance Control Assist, Dual 7" Color Monitors, Dual Occupant Memory System, ECO Pedal, Enhanced Intelligent Key Memory, Entry & Exit Assist, Forward Emergency Braking (FEB), Front and Rear Sonar Sensors, Front Pre-Crash Seatbelts, Heated 2nd-Row Seats, Heated Steering Wheel, Illuminated Kick Plates, INFINITI Navigation System including XM NavTraffic and NavWeather with real time information, INFINITI Voice Recognition, Intelligent Cruise Control, Lane Departure Prevention (LDP), Maple Interior Accents, Outside Mirrors w/Reverse Tilt-Down Feature, Power Return Third Row Seat Back, Predictive Forward Collision Warning (PFCW), Predictive Forward Emergency Braking (PFEB), Premium Package, Premium Plus Package, Rain-Sensing Front Windshield Wipers, Rear Bumper Protector & Roof Rails, Remote Engine Start, Second & Third-Row Moonroof w/Power Rear Sunshade, Single In-Dash CD Player, Theater Package, Wheels: 20" 15-Spoke Aluminum-Alloy, Wireless Headphones (2). INFINITI Certified Pre-Owned Details: * Warranty Deductible: $0 * Roadside Assistance * Limited Warranty: 72 Month/Unlimited Mile (whichever comes first) Limited Warranty 72 months/Unlimited miles from original in-service date for vehicles over 15,000 miles & under 2 years old, 24 months/Unlimited miles from certified purchase date for vehicles over 15,000 miles & older than 2 years * Transferable Warranty * Includes Rental Car and Trip Interruption Reimbursement * 167 Point Inspection * Vehicle History Odometer is 2403 miles below market average! Awards: * 2016 IIHS Top Safety Pick+ All Applicable Pricing Based on Financing with INFINITI Financial Service. ** Buy with Confidence. Call Today @ 866-568-0724 to Schedule a Test Drive. This Vehicle is Ready for Immediate Delivery!! ** Open Sundays by Appointment Only!! Recent Arrival! INFINITI CERTIFIED PRE-OWNED WARRANTY / CPO, REMAINDER FACTORY WARRANTY, Service Records Available, One Owner, Clean Car-Fax, Bluetooth, Navigation / GPS, Steering Wheel Audio Controls, Premium Audio / MP3, SIRIUS/ XM Radio, Smart Entry System, SD CARD INPUT *, UNIVERSAL GARAGE DOOR OPENER *, BRAND NEW Brakes All Around, Backup Camera, All Wheel Drive / AWD, Power Moonroof / Sunroof, Driver & Passenger Power Seats, Heated Seats, Heated Steering Wheel, Pushbutton Start, Remote Keyless Entry, Dual Zone Auto Climate Control, Premium Alloy Wheels, Auto/Off Headlights, Power Windows, Power Door Locks, Cruise Control, ABS brakes, Compass, Electronic Stability Control, Front dual zone A/C, Heated door mirrors, Heated Front Seats, Heated front seats, Illuminated entry, INFINITI InTouch Navigation System, Low tire pressure warning, Navigation Package, Power moonroof, Remote keyless entry, Traction control. INFINITI Certified Pre-Owned Details: * Vehicle History * Limited Warranty: 72 Month/Unlimited Mile (whichever comes first) Limited Warranty 72 months/Unlimited miles from original in-service date for vehicles over 15,000 miles & under 2 years old, 24 months/Unlimited miles from certified purchase date for vehicles over 15,000 miles & older than 2 years * Warranty Deductible: $0 * Includes Rental Car and Trip Interruption Reimbursement * Roadside Assistance * Transferable Warranty * 167 Point Inspection Awards: * 2015 IIHS Top Safety Pick+ All Applicable Pricing Based on Financing with INFINITI Financial Service. ** Buy with Confidence. Call Today @ 866-568-0724 to Schedule a Test Drive. This Vehicle is Ready for Immediate Delivery!! ** Open Sundays by Appointment Only!! Recent Arrival! INFINITI CERTIFIED PRE-OWNED WARRANTY / CPO, REMAINDER FACTORY WARRANTY, Service Records Available, One Owner, Clean Car-Fax, Bluetooth, Navigation / GPS, Steering Wheel Audio Controls, Premium Audio / MP3, SIRIUS/ XM Radio, AUX INPUT *, Smart Entry System, SD CARD INPUT *, UNIVERSAL GARAGE DOOR OPENER *, Backup Camera, All Wheel Drive / AWD, Power Moonroof / Sunroof, Driver & Passenger Power Seats, Heated Seats, Heated Steering Wheel, Pushbutton Start, Remote Keyless Entry, Dual Zone Auto Climate Control, Premium Alloy Wheels, Auto/Off Headlights, Power Windows, Power Door Locks, Cruise Control, ABS brakes, Compass, Electronic Stability Control, Front dual zone A/C, Heated door mirrors, Illuminated entry, INFINITI InTouch Navigation System, Low tire pressure warning, Navigation Package, Power moonroof, Remote keyless entry, Traction control. INFINITI Certified Pre-Owned Details: * Transferable Warranty * Warranty Deductible: $0 * Includes Rental Car and Trip Interruption Reimbursement * Vehicle History * Limited Warranty: 72 Month/Unlimited Mile (whichever comes first) Limited Warranty 72 months/Unlimited miles from original in-service date for vehicles over 15,000 miles & under 2 years old, 24 months/Unlimited miles from certified purchase date for vehicles over 15,000 miles & older than 2 years * 167 Point Inspection * Roadside Assistance Odometer is 9419 miles below market average! Awards: * 2015 IIHS Top Safety Pick+ All Applicable Pricing Based on Financing with INFINITI Financial Service. ** Buy with Confidence. Call Today @ 866-568-0724 to Schedule a Test Drive. This Vehicle is Ready for Immediate Delivery!! ** Open Sundays by Appointment Only!! Recent Arrival! INFINITI CERTIFIED PRE-OWNED WARRANTY / CPO, REMAINDER FACTORY WARRANTY, Paddle Shifters, Service Records Available, One Owner, Bluetooth, Navigation / GPS, Steering Wheel Audio Controls, Premium Audio / MP3, SIRIUS/ XM Radio, Smart Entry System, SD CARD INPUT *, UNIVERSAL GARAGE DOOR OPENER *, Backup Camera, Power Moonroof / Sunroof, Driver & Passenger Power Seats, Heated - Leather Seats, Heated Steering Wheel, Pushbutton Start, Remote Keyless Entry, Dual Zone Auto Climate Control, Premium Alloy Wheels, Auto/Off Headlights, Power Windows, Power Door Locks, Cruise Control, ABS brakes, Compass, Electronic Stability Control, Front dual zone A/C, Heated door mirrors, Heated front seats, Heated Sport Front Seats, Illuminated entry, INFINITI InTouch Navigation System, Low tire pressure warning, Navigation Package, Power moonroof, Remote keyless entry, Traction control. INFINITI Certified Pre-Owned Details: * Roadside Assistance * Limited Warranty: 72 Month/Unlimited Mile (whichever comes first) Limited Warranty 72 months/Unlimited miles from original in-service date for vehicles over 15,000 miles & under 2 years old, 24 months/Unlimited miles from certified purchase date for vehicles over 15,000 miles & older than 2 years * Transferable Warranty * 167 Point Inspection * Vehicle History * Includes Rental Car and Trip Interruption Reimbursement * Warranty Deductible: $0 Odometer is 6208 miles below market average! Awards: * 2015 IIHS Top Safety Pick+ All Applicable Pricing Based on Financing with INFINITI Financial Service. ** Buy with Confidence. Call Today @ 866-568-0724 to Schedule a Test Drive. This Vehicle is Ready for Immediate Delivery!! ** Open Sundays by Appointment Only!! Recent Arrival! Odometer is 16702 miles below market average! INFINITI CERTIFIED PRE-OWNED WARRANTY / CPO, REMAINDER FACTORY WARRANTY, Service Records Available, One Owner, Bluetooth, Navigation / GPS, Steering Wheel Audio Controls, Premium Audio / MP3, SIRIUS/ XM Radio, Smart Entry System, SD CARD INPUT *, UNIVERSAL GARAGE DOOR OPENER *, Backup Camera, All Wheel Drive / AWD, Power Moonroof / Sunroof, Driver & Passenger Power Seats, Heated - Leather Seats, Heated Steering Wheel, Pushbutton Start, Remote Keyless Entry, Dual Zone Auto Climate Control, Premium Alloy Wheels, Auto/Off Headlights, Power Windows, Power Door Locks, Cruise Control, ABS brakes, Compass, Driver Seat 2-Way Power Lumbar, Electronic Stability Control, Front dual zone A/C, Heated door mirrors, Heated Front Seats, Heated front seats, Illuminated entry, INFINITI InTouch Navigation System, Leather Seating Package, Leather-Appointed Seats, Low tire pressure warning, Navigation Package, Power moonroof, Remote keyless entry, Traction control. INFINITI Certified Pre-Owned Details: * Transferable Warranty * Vehicle History * Includes Rental Car and Trip Interruption Reimbursement * 167 Point Inspection * Limited Warranty: 72 Month/Unlimited Mile (whichever comes first) Limited Warranty 72 months/Unlimited miles from original in-service date for vehicles over 15,000 miles & under 2 years old, 24 months/Unlimited miles from certified purchase date for vehicles over 15,000 miles & older than 2 years * Roadside Assistance * Warranty Deductible: $0 Awards: * 2015 IIHS Top Safety Pick+ All Applicable Pricing Based on Financing with INFINITI Financial Service. ** Buy with Confidence. Call Today @ 866-568-0724 to Schedule a Test Drive. This Vehicle is Ready for Immediate Delivery!! ** Open Sundays by Appointment Only!! Recent Arrival! INFINITI CERTIFIED PRE-OWNED WARRANTY / CPO, REMAINDER FACTORY WARRANTY, 3rd Row Seating, Service Records Available, One Owner, Bluetooth, Navigation / GPS, Steering Wheel Audio Controls, Premium Audio / MP3, SIRIUS/ XM Radio, Smart Entry System, UNIVERSAL GARAGE DOOR OPENER *, Backup Camera, All Wheel Drive / AWD, Power Moonroof / Sunroof, Driver & Passenger Power Seats, Heated - Leather Seats, Heated Steering Wheel, Dual Rear DVD Entertainment System, Pushbutton Start, Remote Keyless Entry, Tri-Zone Auto Climate Control, Premium Alloy Wheels, Power Liftgate, Front & Rear Parking Sensors, Power Windows, Power Door Locks, Cruise Control, OPEN SUNDAYS BY APPOINTMENT ONLY *, 120V Power Outlet, 2-Way Driver's Seat Power Lumbar Support, Around View Monitor w/Front & Rear Sonar System, Dual 7" Color Monitors, Dual Occupant Memory System, Enhanced Intelligent Key Memory, Entry & Exit Assist, Heated Steering Wheel, INFINITI Navigation System, INFINITI Voice Recognition, Outside Mirrors w/Reverse Tilt-Down Feature, Premium Package, Premium Plus Package, Radio: AM/FM/CD/DVD w/MP3 Playback Capability, Rain-Sensing Front Windshield Wipers, Remote Engine Start, Single In-Dash CD Player, Theater Package, Wireless Headphones (2). INFINITI Certified Pre-Owned Details: * Limited Warranty: 72 Month/Unlimited Mile (whichever comes first) Limited Warranty 72 months/Unlimited miles from original in-service date for vehicles over 15,000 miles & under 2 years old, 24 months/Unlimited miles from certified purchase date for vehicles over 15,000 miles & older than 2 years * Vehicle History * Includes Rental Car and Trip Interruption Reimbursement * Transferable Warranty * Warranty Deductible: $0 * 167 Point Inspection * Roadside Assistance Odometer is 2270 miles below market average! Awards: * 2015 IIHS Top Safety Pick All Applicable Pricing Based on Financing with INFINITI Financial Service. ** Buy with Confidence. Call Today @ 866-568-0724 to Schedule a Test Drive. This Vehicle is Ready for Immediate Delivery!! ** Open Sundays by Appointment Only!! Recent Arrival! INFINITI CERTIFIED PRE-OWNED WARRANTY / CPO, REMAINDER FACTORY WARRANTY, 3rd Row Seating, Service Records Available, One Owner, Clean Car-Fax, Bluetooth, Navigation / GPS, Steering Wheel Audio Controls, Premium Audio / MP3, SIRIUS/ XM Radio, UNIVERSAL GARAGE DOOR OPENER *, AUX & USB INPUT *, Backup Camera, All Wheel Drive / AWD, Power Moonroof / Sunroof, Driver & Passenger Power Seats, Heated - Leather Seats, Heated Steering Wheel, Pushbutton Start, Remote Keyless Entry, Tri-Zone Auto Climate Control, Premium Alloy Wheels, Auto/Off Headlights, Front & Rear Parking Sensors, Power Windows, Power Door Locks, Cruise Control, OPEN SUNDAYS BY APPOINTMENT ONLY *, 2-Way Driver's Seat Power Lumbar Support, Around View Monitor w/Front & Rear Sonar System, Dual Occupant Memory System, Enhanced Intelligent Key Memory, Entry & Exit Assist, Heated Steering Wheel, INFINITI Navigation System, INFINITI Voice Recognition, Outside Mirrors w/Reverse Tilt-Down Feature, Premium Package, Premium Plus Package, Radio: AM/FM/CD/DVD w/MP3 Playback Capability, Rain-Sensing Front Windshield Wipers, Remote Engine Start, Single In-Dash CD Player. INFINITI Certified Pre-Owned Details: * Limited Warranty: 72 Month/Unlimited Mile (whichever comes first) Limited Warranty 72 months/Unlimited miles from original in-service date for vehicles over 15,000 miles & under 2 years old, 24 months/Unlimited miles from certified purchase date for vehicles over 15,000 miles & older than 2 years * Includes Rental Car and Trip Interruption Reimbursement * Roadside Assistance * Vehicle History * Transferable Warranty * 167 Point Inspection * Warranty Deductible: $0 Awards: * 2015 IIHS Top Safety Pick All Applicable Pricing Based on Financing with INFINITI Financial Service. ** Buy with Confidence. Call Today @ 866-568-0724 to Schedule a Test Drive. This Vehicle is Ready for Immediate Delivery!! ** Open Sundays by Appointment Only!! Recent Arrival! INFINITI CERTIFIED PRE-OWNED WARRANTY / CPO, RARE- Manual Transmission, 3rd Row Seating, Service Records Available, One Owner, Clean Car-Fax, Bluetooth, 180 Multi-Point Inspection, Navigation / GPS, Steering Wheel Audio Controls, SIRIUS/ XM Radio, Smart Entry System, UNIVERSAL GARAGE DOOR OPENER *, AUX & USB INPUT *, Backup Camera, All Wheel Drive / AWD, Power Moonroof / Sunroof, Driver & Passenger Power Seats, Heated - Leather Seats, Heated Steering Wheel, Pushbutton Start, Remote Keyless Entry, Tri-Zone Auto Climate Control, Premium Alloy Wheels, Auto/Off Headlights, Power Liftgate, Front & Rear Parking Sensors, Power Windows, Power Door Locks, Cruise Control, OPEN SUNDAYS BY APPOINTMENT ONLY *, 2-Way Driver's Seat Power Lumbar Support, Active Trace Control, Around View Monitor w/Front & Rear Sonar System, Back-Up Collision Intervention (BCI), Blind Spot Warning System (BSW), BOSE 13-speaker Premium Audio System including Radio: AM/FM/CD/DVD w/MP3 Playback Capability, Distance Control Assist, Driver Assistance Package, Dual Occupant Memory System, ECO Pedal, Enhanced Intelligent Key Memory, Entry & Exit Assist, Front and Rear Sonar Sensors, Heated Steering Wheel, Illuminated Kick Plates, INFINITI Navigation System including XM NavTraffic and NavWeather with real time information, INFINITI Voice Recognition, Intelligent Cruise Control, Outside Mirrors w/Reverse Tilt-Down Feature, Premium Package, Premium Plus Package, Rain-Sensing Front Windshield Wipers, Rear Bumper Protector & Roof Rails, Remote Engine Start, Single In-Dash CD Player. INFINITI Certified Pre-Owned Details: * 167 Point Inspection * Roadside Assistance * Transferable Warranty * Limited Warranty: 72 Month/Unlimited Mile (whichever comes first) Limited Warranty 72 months/Unlimited miles from original in-service date for vehicles over 15,000 miles & under 2 years old, 24 months/Unlimited miles from certified purchase date for vehicles over 15,000 miles & older than 2 years * Vehicle History * Includes Rental Car and Trip Interruption Reimbursement * Warranty Deductible: $0 Odometer is 2487 miles below market average! Awards: * 2016 IIHS Top Safety Pick+ All Applicable Pricing Based on Financing with INFINITI Financial Service. ** Buy with Confidence. Call Today @ 866-568-0724 to Schedule a Test Drive. This Vehicle is Ready for Immediate Delivery!! ** Open Sundays by Appointment Only!! Recent Arrival! INFINITI CERTIFIED PRE-OWNED WARRANTY / CPO, REMAINDER FACTORY WARRANTY, 3rd Row Seating, Service Records Available, One Owner, Clean Car-Fax, Bluetooth, Navigation / GPS, Steering Wheel Audio Controls, Premium Audio / MP3, SIRIUS/ XM Radio, Smart Entry System, UNIVERSAL GARAGE DOOR OPENER *, AUX & USB INPUT *, Backup Camera, All Wheel Drive / AWD, Power Moonroof / Sunroof, Panoramic Moonroof, Driver & Passenger Power Seats, Heated & Cooled Leather Seats, Heated Steering Wheel, Dual Rear DVD Entertainment System, Pushbutton Start, Remote Keyless Entry, Tri-Zone Auto Climate Control, Premium Alloy Wheels, Auto/Off Headlights, Power Liftgate, Front & Rear Parking Sensors, Power Windows, Power Door Locks, OPEN SUNDAYS BY APPOINTMENT ONLY *, 120V Power Outlet, 20" Split 5-Spoke Aluminum-Alloy Wheels, 2-Way Driver's Seat Power Lumbar Support, Active Trace Control, Advanced Climate Control System, Around View Monitor w/Front & Rear Sonar System, Back-Up Collision Intervention (BCI), Blind Spot Intervention (BSI), Blind Spot Warning System (BSW), Bose Cabin Surround Sound System, Climate-Controlled Front Seats, Deluxe Touring Package, Distance Control Assist, Dual 7" Color Monitors, Dual Occupant Memory System, ECO Pedal, Enhanced Intelligent Key Memory, Entry & Exit Assist, Front Pre-Crash Seatbelts, Heated 2nd-Row Seats, Heated Steering Wheel, INFINITI Navigation System, INFINITI Voice Recognition, Intelligent Brake Assist (IBA), Intelligent Cruise Control, Lane Departure Prevention (LDP), Maple Accents Package, Maple Interior Accents, Outside Mirrors w/Reverse Tilt-Down Feature, Power Return Third Row Seat Back, Premium Package, Premium Plus Package, Radio: AM/FM/CD/DVD w/MP3 Playback Capability, Rain-Sensing Front Windshield Wipers, Remote Engine Start, Second & Third-Row Moonroof w/Power Rear Sunshade, Single In-Dash CD Player, Technology Package, Theater Package. INFINITI Certified Pre-Owned Details: * Vehicle History * Transferable Warranty * Limited Warranty: 72 Month/Unlimited Mile (whichever comes first) Limited Warranty 72 months/Unlimited miles from original in-service date for vehicles over 15,000 miles & under 2 years old, 24 months/Unlimited miles from certified purchase date for vehicles over 15,000 miles & older than 2 years * Warranty Deductible: $0 * Roadside Assistance * Includes Rental Car and Trip Interruption Reimbursement * 167 Point Inspection Awards: * 2015 IIHS Top Safety Pick All Applicable Pricing Based on Financing with INFINITI Financial Service. ** Buy with Confidence. Call Today @ 866-568-0724 to Schedule a Test Drive. This Vehicle is Ready for Immediate Delivery!! ** Open Sundays by Appointment Only!! Recent Arrival! INFINITI CERTIFIED PRE-OWNED WARRANTY / CPO, REMAINDER FACTORY WARRANTY, 3rd Row Seating, Service Records Available, One Owner, Clean Car-Fax, Hands Free, Navigation / GPS, Steering Wheel Audio Controls, SIRIUS/ XM Radio, Smart Entry System, UNIVERSAL GARAGE DOOR OPENER *, Backup Camera, All Wheel Drive / AWD, Power Moonroof / Sunroof, Driver & Passenger Power Seats, Heated - Leather Seats, Heated Steering Wheel, Pushbutton Start, Remote Keyless Entry, Tri-Zone Auto Climate Control, Premium Alloy Wheels, Power Liftgate, Power Windows, Power Door Locks, Cruise Control, OPEN SUNDAYS BY APPOINTMENT ONLY *, 2-Way Driver's Seat Power Lumbar Support, Active Trace Control, Around View Monitor w/Front & Rear Sonar System, Back-Up Collision Intervention (BCI), Blind Spot Warning System (BSW), Distance Control Assist, Driver Assistance Package, Dual Occupant Memory System, ECO Pedal, Enhanced Intelligent Key Memory, Entry & Exit Assist, Front & Rear Sonar System, Heated Steering Wheel, INFINITI Navigation System, INFINITI Voice Recognition, Intelligent Brake Assist (IBA), Intelligent Cruise Control, Outside Mirrors w/Reverse Tilt-Down Feature, Premium Package, Premium Plus Package, Radio: AM/FM/CD/DVD w/MP3 Playback Capability, Rain-Sensing Front Windshield Wipers, Remote Engine Start, Single In-Dash CD Player. INFINITI Certified Pre-Owned Details: * Vehicle History * 167 Point Inspection * Includes Rental Car and Trip Interruption Reimbursement * Warranty Deductible: $0 * Transferable Warranty * Roadside Assistance * Limited Warranty: 72 Month/Unlimited Mile (whichever comes first) Limited Warranty 72 months/Unlimited miles from original in-service date for vehicles over 15,000 miles & under 2 years old, 24 months/Unlimited miles from certified purchase date for vehicles over 15,000 miles & older than 2 years Awards: * 2015 IIHS Top Safety Pick All Applicable Pricing Based on Financing with INFINITI Financial Service. ** Buy with Confidence. Call Today @ 866-568-0724 to Schedule a Test Drive. This Vehicle is Ready for Immediate Delivery!! ** Open Sundays by Appointment Only!! Recent Arrival! INFINITI CERTIFIED PRE-OWNED WARRANTY / CPO, REMAINDER FACTORY WARRANTY, Paddle Shifters, Bought - Serviced - Traded @ Harte INFINITI, Service Records Available, One Owner, Clean Car-Fax, Bluetooth, Navigation / GPS, Steering Wheel Audio Controls, Premium Audio / MP3, SIRIUS/ XM Radio, Smart Entry System, SD CARD INPUT *, UNIVERSAL GARAGE DOOR OPENER *, AUX & USB INPUT *, Backup Camera, All Wheel Drive / AWD, Power Moonroof / Sunroof, Driver & Passenger Power Seats, Heated - Leather Seats, Heated Steering Wheel, Pushbutton Start, Remote Keyless Entry, Dual Zone Auto Climate Control, Auto/Off Headlights, OPEN SUNDAYS BY APPOINTMENT ONLY *, 3.0t Sport Premium Plus Package, Driver & Front Passenger Heated Seats, Heated Steering Wheel, INFINITI InTouch Navigation System, Remote Engine Start. INFINITI Certified Pre-Owned Details: * Includes Rental Car and Trip Interruption Reimbursement * Transferable Warranty * Limited Warranty: 72 Month/Unlimited Mile (whichever comes first) Limited Warranty 72 months/Unlimited miles from original in-service date for vehicles over 15,000 miles & under 2 years old, 24 months/Unlimited miles from certified purchase date for vehicles over 15,000 miles & older than 2 years * 167 Point Inspection * Roadside Assistance * Warranty Deductible: $0 * Vehicle History Awards: * 2017 KBB.com 10 Best Luxury Cars Under $35,000 All Applicable Pricing Based on Financing with INFINITI Financial Service. ** Buy with Confidence. Call Today @ 866-568-0724 to Schedule a Test Drive. This Vehicle is Ready for Immediate Delivery!! ** Open Sundays by Appointment Only!! Recent Arrival! INFINITI CERTIFIED PRE-OWNED WARRANTY / CPO, REMAINDER FACTORY WARRANTY, 3rd Row Seating, Bought - Serviced - Traded @ Harte INFINITI, Service Records Available, One Owner, Clean Car-Fax, Bluetooth, Navigation / GPS, Steering Wheel Audio Controls, Premium Audio / MP3, SIRIUS/ XM Radio, Smart Entry System, UNIVERSAL GARAGE DOOR OPENER *, Backup Camera, All Wheel Drive / AWD, Panoramic Moonroof, Driver & Passenger Power Seats, Heated - Leather Seats, Heated Steering Wheel, Pushbutton Start, Remote Keyless Entry, Tri-Zone Auto Climate Control, Premium Alloy Wheels, Auto/Off Headlights, Power Liftgate, Dual Power Sliding Doors, Front & Rear Parking Sensors, Power Windows, Power Door Locks, OPEN SUNDAYS BY APPOINTMENT ONLY *, 2-Way Driver's Seat Power Lumbar Support, Around View Monitor w/Front & Rear Sonar System, Dual Occupant Memory System, Enhanced Intelligent Key Memory, Entry & Exit Assist, Heated Steering Wheel, INFINITI Navigation System, INFINITI Voice Recognition, Outside Mirrors w/Reverse Tilt-Down Feature, Premium Package, Premium Plus Package, Radio: AM/FM/CD/DVD w/MP3 Playback Capability, Rain-Sensing Front Windshield Wipers, Remote Engine Start, Roof Rails, Single In-Dash CD Player. INFINITI Certified Pre-Owned Details: * Vehicle History * 167 Point Inspection * Transferable Warranty * Includes Rental Car and Trip Interruption Reimbursement * Warranty Deductible: $0 * Limited Warranty: 72 Month/Unlimited Mile (whichever comes first) Limited Warranty 72 months/Unlimited miles from original in-service date for vehicles over 15,000 miles & under 2 years old, 24 months/Unlimited miles from certified purchase date for vehicles over 15,000 miles & older than 2 years * Roadside Assistance Odometer is 3507 miles below market average! Awards: * 2015 IIHS Top Safety Pick All Applicable Pricing Based on Financing with INFINITI Financial Service. ** Buy with Confidence. Call Today @ 866-568-0724 to Schedule a Test Drive. This Vehicle is Ready for Immediate Delivery!! ** Open Sundays by Appointment Only!! Recent Arrival! INFINITI CERTIFIED PRE-OWNED WARRANTY / CPO, REMAINDER FACTORY WARRANTY, Paddle Shifters, Bought - Serviced - Traded @ Harte INFINITI, Service Records Available, One Owner, Clean Car-Fax, Bluetooth, Navigation / GPS, Steering Wheel Audio Controls, Premium Audio / MP3, SIRIUS/ XM Radio, AUX INPUT *, Smart Entry System, UNIVERSAL GARAGE DOOR OPENER *, 2-Way Passenger Power Lumbar, ABS brakes, Adaptive Front Lighting System, Advanced Climate Control System, Back-Up Collision Intervention (BCI), Blind Spot Intervention System (BSI), Bose 16-Speaker Premium Audio System, Climate Controlled Seats, Direct Adaptive Steering, Distance Control Assist, Electronic Stability Control, Extended Interior Ambient Lighting, Front dual zone A/C, Headlamps (LED High/Low Beam), Head-Up Display, Heated door mirrors, Heated Front Seats, Heated Steering Wheel, High Beam Assist, Illuminated entry, Intelligent Cruise Control, Lane Departure Prevention (LDP), Low tire pressure warning, Memory Seats, Motion Activated Liftgate, Natural Maple Wood Interior Trim, Navigation System, Park w/Easy Steering, Power Liftgate, Power moonroof, Power Tilt & Telescopic Steering Wheel, Premium Audio Package, Premium Heat Package, ProACTIVE Package, ProASSIST Package, ProPILOT Assist, Rear Cross Traffic Alert, Rear Side Window Sunshades, Remote keyless entry, Reverse Synchronization Mirrors, Semi-Aniline Leather Appointed Seating, Sensory Package, Standard Leather Seat Trim, Steering Assist, Traction control, Wheels: 20" x 8.5J Dark Tinted Aluminum Alloy. INFINITI Certified Pre-Owned Details: * Includes Rental Car and Trip Interruption Reimbursement * Warranty Deductible: $0 * Transferable Warranty * Roadside Assistance * Vehicle History * Limited Warranty: 72 Month/Unlimited Mile (whichever comes first) Limited Warranty 72 months/Unlimited miles from original in-service date for vehicles over 15,000 miles & under 2 years old, 24 months/Unlimited miles from certified purchase date for vehicles over 15,000 miles & older than 2 years * 167 Point Inspection All Applicable Pricing Based on Financing with INFINITI Financial Service. ** Buy with Confidence. Call Today @ 866-568-0724 to Schedule a Test Drive. This Vehicle is Ready for Immediate Delivery!! ** Open Sundays by Appointment Only!! Recent Arrival! INFINITI CERTIFIED PRE-OWNED WARRANTY / CPO, REMAINDER FACTORY WARRANTY, Service Records Available, One Owner, Bluetooth, Navigation / GPS, Steering Wheel Audio Controls, Premium Audio / MP3, SIRIUS/ XM Radio, Smart Entry System, SD CARD INPUT *, UNIVERSAL GARAGE DOOR OPENER *, AUX & USB INPUT *, Backup Camera, All Wheel Drive / AWD, Power Moonroof / Sunroof, Driver & Passenger Power Seats, Heated Steering Wheel, Pushbutton Start, Remote Keyless Entry, Dual Zone Auto Climate Control, Premium Chrome Wheels, Power Windows, Power Door Locks, Cruise Control, 60/40 Split-Folding Rear Seats, ABS brakes, Electronic Stability Control, Front dual zone A/C, Heated door mirrors, Illuminated entry, INFINITI InTouch Navigation System, Low tire pressure warning, Moonroof Package, Rear Decklid Spoiler, Remote keyless entry, Signature Edition Package, Traction control, Wheels: 17" Accessory Aluminum Alloy. INFINITI Certified Pre-Owned Details: * Vehicle History * Includes Rental Car and Trip Interruption Reimbursement * Roadside Assistance * Transferable Warranty * 167 Point Inspection * Warranty Deductible: $0 * Limited Warranty: 72 Month/Unlimited Mile (whichever comes first) Limited Warranty 72 months/Unlimited miles from original in-service date for vehicles over 15,000 miles & under 2 years old, 24 months/Unlimited miles from certified purchase date for vehicles over 15,000 miles & older than 2 years Awards: * 2015 IIHS Top Safety Pick+ All Applicable Pricing Based on Financing with INFINITI Financial Service. ** Buy with Confidence. Call Today @ 866-568-0724 to Schedule a Test Drive. This Vehicle is Ready for Immediate Delivery!! ** Open Sundays by Appointment Only!! Our INFINITI dealership near Manchester, CT, has many pre-owned luxury cars and SUVs. If you’re interested in financing a pre-owned INFINITI, you can take your time test-driving luxury sedans like the INFINITI Q50 or sophisticated SUVs like the INFINITI QX60. We also have pre-owned QX50 and QX80 SUVs for sale, or you can check out your INFINITI Q40 or Q60 financing options. We’ll help you through the entire car-buying process so that you can find the right pre-owned INFINITI for you. 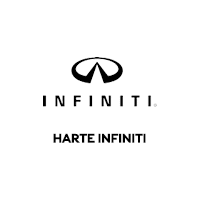 Apply for used INFINITI financing and drive home in a luxurious pre-owned car or SUV at Harte INFINITI.